The Symposium will be held on Monday, Oct 17th, at the Crowne Plaza Valley Forge, located in King of Prussia, PA. Join us for an informal meet-and-greet on Sunday, Oct 16th, 2016. 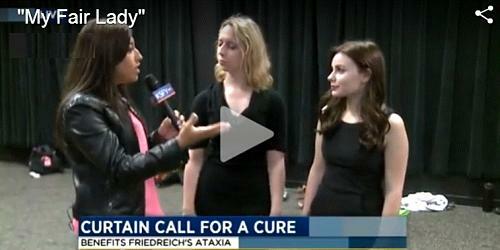 Sioux Falls - A group of high school students in Sioux Falls is trying to raise awareness about Friedreich's Ataxia through a musical theater show at the Orpheum Theater in Downtown Sioux Falls. Ten students have been working on the project, which they call "FA for FA," short for Fine Arts for Friedreich's Ataxia. It is a student led, student run, and community supported organization geared at raising awareness and money for Friedreich's Ataxia. The idea for the project started with a fellow musical performer in Sioux Falls, Raena Brendtro, who was diagnosed with FA in 2013. FA is a debilitating, life-shortening, neuromuscular disorder that affects about 15,000 people worldwide. When I first meet Josh Wooten at a deli in Gainesville, Florida, he flashes a big smile at me, squinching up his eyes. He looks like any other hopeful young man making the transition to college, from his faded graphic t-shirt to his scuffed tennis shoes. But he is seated next to a large, black walker. FA affects roughly one in every 50,000 people in the US. 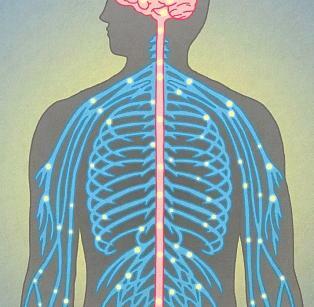 But there are hundreds of millions more around the world with rare degenerative illnesses that affect the nervous system like Parkinson’s, Huntington’s, Lou Gehrig’s disease, and Pompe disease. 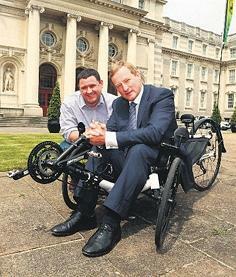 A NORTHSIDE man, who has an incurable condition, will attempt to raise awareness of the disorder through a major fundraising cycle this weekend. In January 2013, Barry Rice (35), from Ayrfield, was diagnosed with Friedreich’s Ataxia (FA), a neuromuscular disorder that causes progressive damage to the nervous system resulting in the loss of muscle control. This Saturday, June 18, in Ashbourne, Barry is holding his third annual Cycle Ataxia event and is hoping approximately 800 cyclists will take part following the successes of 2014 and 2015. Ashley Sturm - "My last story here at WTAP may be the most important I've ever told."